Steven Bochco, a writer and producer known for creating "Hill Street Blues," has died. 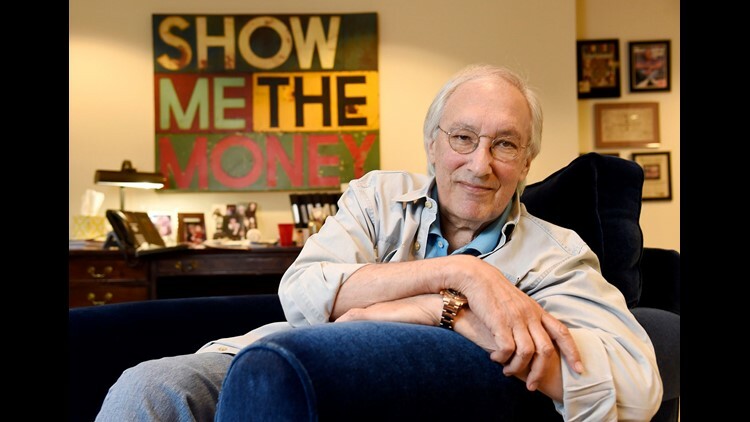 LOS ANGELES (AP) — Steven Bochco, a writer and producer known for creating the groundbreaking police drama "Hill Street Blues," died Sunday. He was 74. A family spokesman says Bochco died in his sleep after a battle with cancer. Bochco, who won 10 primetime Emmys, created several hit television shows including "L.A. Law," ''NYPD Blue," and "Doogie Howser, M.D." Premiering in January 1981, "Hill Street Blues" challenged, even confounded the meager audience that sampled it. Then, on a wave of critical acclaim, the series began to click with viewers, while scoring a history-making 27 Emmy nominations its first year. During its seven-season run, it won 26 Emmys and launched Bochco on a course that led to dozens of series and earned him four Peabody awards, in addition to the 10 Emmys. "Hill Street Blues" had a sprawling universe of engaging yet flawed characters, a zippy pace and layers of overlapping, scripted dialogue, shot in a documentary style. But what really set the show apart were the multiple narratives that interlaced each episode with those that came before and after. With the rare exception of the few prime-time soaps, almost every series up to that time — whether comedy or drama — made each episode freestanding, with a reset button for the one that came next. Bochco once recalled a fan telling him that "Hill Street Blues" was the first TV series with a memory. "That's what I always thought of myself doing in the context of TV: craft a show that over time would have a memory," he told The Associated Press in an interview two years ago. "I sensed that very early in my career. It just took me another 10 or 12 years to get to the point where I earned the right to take a shot at it." Bochco grew up in Manhattan, the son of a painter and a concert violinist. On arriving in Los Angeles after college, he wrote for several series at Universal Studios. Then he got a big break: writing the screenplay for the 1972 sci-fi film "Silent Running." But Bochco said the disrespect he confronted as the writer soured him on writing for the big screen. "Once you've delivered the screenplay they don't want you around, because you're gonna get in the way of someone else's vision," Bochco said. In his self-published memoir "Truth Is a Total Defense: My Fifty Years in Television," Bochco tells the story of his prolific career, which he began at 22 as a story editor on a popular NBC drama, "The Name of the Game," all the way to "Murder in the First," which ran on TNT from 2014 to 2016. In his book, Bochco recalls his great collaborations and his battles with actors, studio heads and network execs, along with the flops ("Bay City Blues"! "Cop Rock"!) that made the triumphs even sweeter. Details of a memorial service were not immediately released. Former Associated Press writer Frazier Moore contributed to this story.